There’s a cool river wandering through the dense jungles of Belize. It’s call the Moho. And it has a personality disorder. One minute calm and serene, barely moving, the next it suddenly drops over and unseen cliff and erupts into chaotic white water. Sil and I spent four days canoeing this gem of a river as part of the “Ultimate Adventure” tour with Island Expeditions, definitely the highlight of the trip. 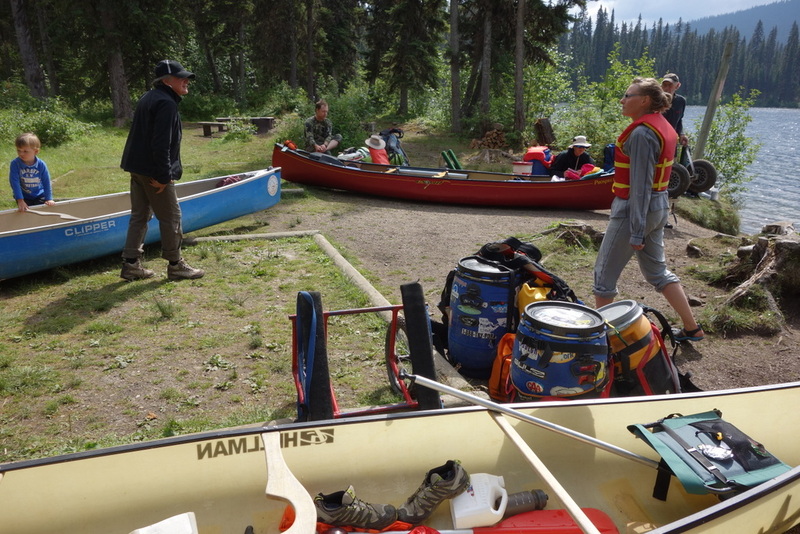 The Bowron Lakes Circuit is considered one of the best canoe trips in the world. Located in central BC, the circuit links 16 km of smooth portage trails with over 100 km of stunning lakes and wild rivers. The scenery ranges from calmly gliding through marshes to crossing big mountain-studded lakes to raging whitewater. Four of us, two in a canoe and two in kayaks, enjoyed a week paddling the circuit at the peak of summer and couldn’t have had better luck with beautiful weather and calm water. We rented a canoe, the Helman Prospector, from Becker’s Lodge. Such a light canoe compared to the rentals we’d had before!